The California Workers’ Compensation Institute recently released an analysis of the state’s independent medical review (IMR) process over the past several years. Results of the analysis indicate that the process may not expedite workers’ compensation treatment programs in the way initially thought. In 2016, the volume of IMR requests hit an all-time high despite a few changes in treatment recommendations. When you file a worker’s compensation claim in California, employers and insurers use a utilization review (UR) process to determine if recommended treatments are medically necessary. Much like personal medical insurance, the workers’ compensation insurers can’t approve every treatment a worker’s physician recommends. In our state, the law requires that either workers’ compensation administrators or employers use a UR program to ensure fair benefits in each claim. If the UR physician denies, changes, or delays the treatment request, the injured employee can request an independent medical review. The state adopted the IMR process in 2013 to resolve treatment disputes within the worker’s compensation system instead of court. If an injured employee requests an IMR, the employer must pay for the review. When enacted, the state believed that the IMR process could meaningfully reduce the number of disputes in the workers’ compensation system. As the IMR process set a precedent, treating physicians, program administrators, and others could better gauge the medical necessity and approval-likelihood of many treatments. The information that the state’s workers’ compensation institute released for 2016 shows an opposite trend, indicating that the IMR process may not meet its expected goals. The number of independent medical reviews is at an all-time high. In 2016, IMR physicians reviewed 10,477 more cases than they did in 2015 – a 6.5% increase. In 2016, IMR physicians supported over 90% of the UR decisions they reviewed compared to an 88.4% support rate in 2015. The types of treatments reviewed did not meaningfully change over the three-year period. In California, opioid prescriptions account for almost half of all IMR requests. A small percentage of treating physicians account for the majority of IMR requests. The analysis showed that the 10 most commonly named treating physicians in requests accounted for 85% of all IMR decisions handed down in 2016. A significant volume of IMR requests was highly concentrated in areas of the state with relatively few overall worker’s compensation claims and services. The analysis data raises more questions than it answers. This year, attorneys, program administrators, and law makers will likely explore why treating physicians with experience using the IMR process continue to file requests for the same treatments and why the volume tends to center on certain geographical locations (the Bay Area and Los Angeles County) and a small group of treating physicians. The analysis reveals trends across hundreds of thousands of IMR requests, but injured workers must fight their own battles in the system every day. If a treatment dispute arises, take steps to protect your right to coverage. Understand your medical history, current diagnosis, and the reason for a treatment recommendation so you can accurately relate information during the independent medical review exam. Initial and continual workers’ compensation benefits often depend on a patient’s willingness to work within the system. Honestly and courteously relate your experience. Although the IMR physician has your file, he or she may not read it thoroughly or fully understand your situation. The one-time exam may be your only opportunity to overturn a coverage decision. A multifaceted review process should ensure fair treatment, but the system doesn’t always work like it should. If you were unfairly treated at any point in the process, consider discussing your claim with an Orange County workers’ compensation attorney. After practicing law for 33 years, I have concluded that the vast majority of criminal cases against immigrants involve “drunk driving”. In California and other states, the crime is called “driving under the influence” of alcohol or drugs. This means that a driver does not have to be drunk to violate the law. It is illegal to drive if the driver’s ability to drive safely is impaired by alcohol or drugs. And, if the alcohol content in the blood is .08% or more, it is presumed that the driver is impaired and is guilty of driving under the influence. Drunk driving convictions are very important to immigrants because in some circumstances, these convictions can be grounds for deportation. Under Federal Immigration law, even permanent legal residents who have lived here for many years can be deported if they are convicted of 2 or more misdemeanors (minor crimes) involving moral turpitude. Simple drunk driving convictions are not moral turpitude crimes for deportation purposes. However, if the drunk driving caused an accident in which someone was injured, an assault charge or other crime of violence can also be filed. In this case, a conviction can lead to deportation. Also, if an immigrant is convicted of drunk driving when he knows that his driver’s license is suspended, the crime is a crime of moral turpitude and a deportable conviction. In California, drivers can have their blood alcohol level tested by either a blood test or a breath test. The blood test measures the amount of alcohol in the blood. The breath test is performed using a breathalyzer. Breath samples are examined and a mathematical formula is used to determine the amount of alcohol in the blood. Experts have reported that the results of the breath test are not always accurate and can vary depending on the person’s medical condition, gender, temperature, the atmospheric pressure, and condition of the particular measuring device. Because of this, the California Supreme Court recently ruled that people accused of drunk driving can dispute the results of breathalyzer tests. This can be done by presenting evidence that contradicts a finding of intoxication. This can include evidence that the defendant has a higher tolerance for alcohol or that he was able to perform the field sobriety test well. Unless you are a United States Citizen, you are subject to deportation for certain criminal convictions. Even if you have been a legal permanent resident for decades, certain criminal convictions will get you deported. All non-citizens that are arrested and charged with a crime should immediately consult with an experienced criminal defense attorney that is also experienced in immigration law. Immigrants should insist on a separate written statement from his/her criminal defense attorney which explains whether or not there will be any immigration status consequences from the proposed action. If the defense attorney recommends that the immigrant should plead guilty, the attorney should indicate if that guilty plea will constitute grounds for deportation. Después de ejercer la ley por 33 años, he concluido que la inmensa mayoría de casos criminales contra los inmigrantes involucran “manejar ebrio”. En California y otros estados, este crimen se llama “manejar bajo la influencia” de alcohol o drogas. Esto significa que un conductor no tiene que estar borracho para violar la ley. Es ilegal manejar si la habilidad del conductor para conducir con seguridad está afectada por el alcohol o drogas. Y, si el contenido de alcohol en la sangre es .08% o más, se presume que el conductor está imposibilitado y es culpable de conducir bajo la influencia del alcohol. Las condenas por conducir ebrio son muy importantes para los inmigrantes porque en algunas circunstancias, esas condenas pueden dar base para la deportación. Bajo la ley Federal de Inmigración, aún los residentes legales permanentes que han vivido aquí por muchos años pueden ser deportados si son condenados por 2 o más delitos menores (misdemeanors) que involucren depravación moral. Las simples condenas por conducir tomado no son crímenes de depravación moral para propósitos de deportación. Sin embargo, si el conductor tomado causó un accidente en el que alguien salió lesionado, el cargo de asalto u otro crimen con violencia también puede ser registrado. En estos casos, las condenas pueden conllevar la deportación. Además, si un inmigrante es condenado por manejar ebrio cuando sabe que su licencia está suspendida, el crimen es por depravación moral y por lo tanto una condena que autoriza la deportación. En California, a los conductores se les mide el nivel de alcohol en la sangre ya sea por una prueba de sangre o por la prueba del aliento. La prueba del aliento es efectuada usando un analizador de aliento. Expertos han reportado que los resultados de las pruebas de aliento no siempre son exactos y pueden variar dependiendo de la condición médica de la persona, el género sexual, la temperatura, la presión atmosférica, y la condición particular del aparato medidor. Por esto, la Corte Suprema de California sentenció que las personas acusadas de conducir ebrio pueden disputar los resultados de las pruebas del medidor de aliento. Esto se puede hacer presentando evidencia que contradiga un hallazgo de intoxicación. Esto puede incluir evidencia que el acusado tiene una tolerancia mayor al alcohol o que él pudo rendir bien la prueba práctica de sobriedad. A menos que usted sea un Ciudadano de Estados Unidos, usted es sujeto a deportación por ciertas condenas criminales. Aún si usted ha sido un residente permanente legal por décadas, ciertas condenas criminales harán que lo deporten. Todos los no ciudadanos que son arrestados y acusados de un crimen inmediatamente deben consultar con un abogado experimentado en defensa criminal que también sea experimentado en leyes de inmigración. Los inmigrantes deben insistir en una declaración escrita separada de su abogado de defensa criminal que explique sí habrá o no alguna consecuencia sobre el estatus migratorio por la acción propuesta. Si el abogado defensor recomienda que el inmigrante debe declararse culpable, el abogado debe indicar si tal declaración de culpable dará base para la deportación. Julio Maldonado became a lawfully admitted permanent resident of the U. S. when he was 3 years old and maintained that status for 39 years. He was engaged to be married to an American and his entire extended family is here in this country. Until the time of the incident that eventually resulted in his deportation, he had no criminal record. Many legal experts and even the Judge in the criminal case questioned whether Mr. Maldonado and his cousin were truly guilty of any crime. In 1996, Mr. Maldonado and his cousin, Dennis Calderon were walking through their neighborhood to go have a beer. Court records indicate that “a gang of white youths who were drinking beer in the street began yelling racial epithets and throwing bottles at them.” The attack resulted in a fight. Even the prosecutor’s witnesses testified that several white men kicked and punched Mr. Calderon as he was lying helplessly on the ground. They said that Mr. Maldonado pulled a metal steering wheel lock from his car to defend Mr. Calderon. They said that a white man named Christian Saladino ran toward the attackers. Prosecutors said that Mr. Maldonado struck Mr. Saladino in the head causing him to go into a coma. Prosecutors said that Mr. Calderon then got up, retrieved a baseball bat from his home, and used it to beat Mr. Saladino. Mr. Maldonado said that he only “grazed” Saladino’s shoulder because he had a knife. Calderon denied hitting Saladino with the bat. Their attorneys advised them to agree to have a judge instead of a jury decide the case. These attorneys did not even use any medical experts to challenge the prosecutor’s conclusions. The trial judge, Gregory Smith recognized that the cousins were justified in using force. The judge convicted them because Saladino was not an attacker and that it was reckless to strike him. They were convicted of aggravated assault which requires their deportation under a 1996 Immigration law. Saladino died 2 years later and the two cousins were tried on murder charges. 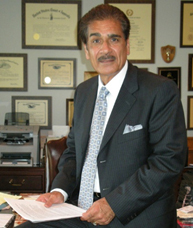 A medical forensic expert testified that there was “no evidence that either Maldonado or Calderon had hit Saladino with anything or contributed to his death.” He pointed out that if someone was hit in the head with the object Maldonado used, it would leave a visible mark and there were no marks on Saladino. The medical expert also testified that Saladino suffered from a blood condition which caused him to have a fatal spontaneous hemorrhage. Maldonado and Calderon were acquitted of the murder charges and Judge Smith rescinded the guilty verdict of aggravated assault. He ordered a new trial in that case saying that if he had heard the medical testimony he may have ruled differently. Unfortunately for the cousins, the prosecutor did not wait for a new trial but instead appealed Judge Smith’s rescission of his guilty verdict. The appellate court agreed with the prosecutor and reinstated the guilty verdict. After serving 8 years in prison for something that he probably did not do, Julio Maldonado was deported. Dennis Calderon was also to be deported after his prison sentence too. In 2002, the Congress of the United States created the U-Visa for undocumented immigrants that are victims of specified serious crimes. Qualifying immigrants who are at least 21 years old can apply for visas for their spouses and children as well. The law also allows people who have temporary non-immigrant visas like students, tourists, and visitors to receive U-Visas. And, undocumented crime victims that have left the U. S. can apply for a U-Visa in their native countries if they meet the requirements under the law. Providing visas to these victims enables them to acquire legal immigration status and work authorization. S. lawmakers created the U-Visa to help law enforcement officers and prosecutors find and convict violent criminals. They recognized that the fear of deportation prevented undocumented crime victims from reporting it to the police and from testifying against the criminal. As a result, violent criminals are able to avoid conviction and to continue to repeatedly injure and otherwise abuse innocent victims. The U-Visa provides temporary legal status for 3 years and allows the immigrant to apply for a permanent visa (green card) and then for U. S. citizenship. These benefits could take time to become real. The US Immigration Service reported that over the past 3 years the number of applications were as much as twice the 10,000 per year available visas. That report also showed that 45,898 applications were waiting to be processed at the end of 2014. Unless there is an increase in the available visas in the future, the number of applications pending to process will be more every year, making the wait longer. The current trend suggests that in 2020 the number of pending applications could reach 150,000. Since there are only 10,000 visas available every year, the wait could take 15 years. A way to shorten the waiting period is to have Immigration increase the number of available visas. En 2002, el Congreso de Estados Unidos creó la visa U para inmigrantes indocumentados que son víctimas de ciertos crímenes serios. Los inmigrantes que califican que tiene al menos 21 años de edad también pueden solicitar visas para sus esposas e hijos. La ley también permite que las personas que tienen visas temporales de no inmigrantes tales como estudiantes, turistas, y visitantes reciban las Visas U. Y, las víctimas de crímenes que se han ido de EE.UU. pueden solicitar una Visa U en sus países de origen si cumplen los requisitos bajo la ley. Proporcionarles visas a estas víctimas les permite adquirir estatus migratorio legal y autorización para trabajar. Los legisladores de EE.UU. crearon la Visa U para ayudar a oficiales de la ley y fiscales a encontrar y condenar a criminales violentos. Reconocieron que el temor a la deportación impedía que personas indocumentadas víctimas de crímenes los reportaran a la policía y que testificaran contra el criminal. A consecuencia de ello, los criminales violentos eran capaces de evitar las condenas y continuar lesionando y/o abusando de las inocentes víctimas. La Visa U otorga un estatus legal temporal por 3 años y permite que el inmigrante solicite la residencia permanente (Green-Card) y luego la ciudadanía de EE.UU. pero este beneficio podría demorarse mucho en llegar. Un reporte del Servicio de Inmigración muestra que el número de solicitudes se duplicó en los últimos 3 años con respecto a las 10,000 visas anuales disponibles. Según dicho reporte las solicitudes pendientes eran 45,898 al final de 2014. Esto indica que si las visas permitidas no aumentan, los casos pendientes serán más cada año, aumentando el tiempo de espera. La tendencia indica que en 2020 los casos sin aprobar podrían ser como de 150,000; puesto que no pueden aprobarse más de 10,000 por año la espera podría ser 15 años. La solución a esto es que Inmigración aumente las visas permitidas por año. Infortunadamente, los beneficios concedidos a las personas que obtienen una Visa U ha provocado una irresistible tentación para muchísimos inmigrantes indocumentados. Los reportes indican que se han hecho reclamos falsos a la Policía de ser víctima de crimen, con la esperanza de obtener Visas U. Lo más grave es que cuando las falsas acusaciones tienen éxito, las personas inocentes son condenadas de crímenes que no cometieron y frecuentemente son erróneamente enviados a la cárcel o prisión. Personalmente he visto dos ejemplos de falsa acusación. Un caso involucraba una falsa acusación de abuso sexual criminal y el otro una falsa acusación de violencia doméstica. En ambos casos, la investigación reveló finalmente que los cargos eran falsos.